This is one of the cards my Techniques Class made last night. This technique is called Emboss Resist. For those of you who have not tried this yet, Emboss Resist is a heat embossing technique which allows you to apply color to a background after embossing, revealing the embossed image. Start with a Very Vanilla piece of card stock. Using Stampin’ Sponges, randomly color the entire area with So Saffron, Old Olive, Crumb Cake, and Cajun Craze ink. 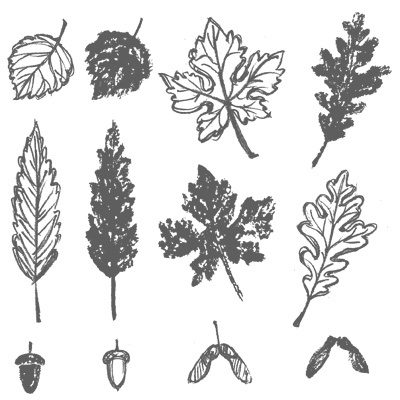 Using the solid stamps in the Gently Falling Stamp Set, stamp the leaves in Versamark Ink. Sprinkle with clear embossing powder and set with the Heat Tool. The images will be virtually invisible. Finally, sponge the entire area with Early Espresso Ink. 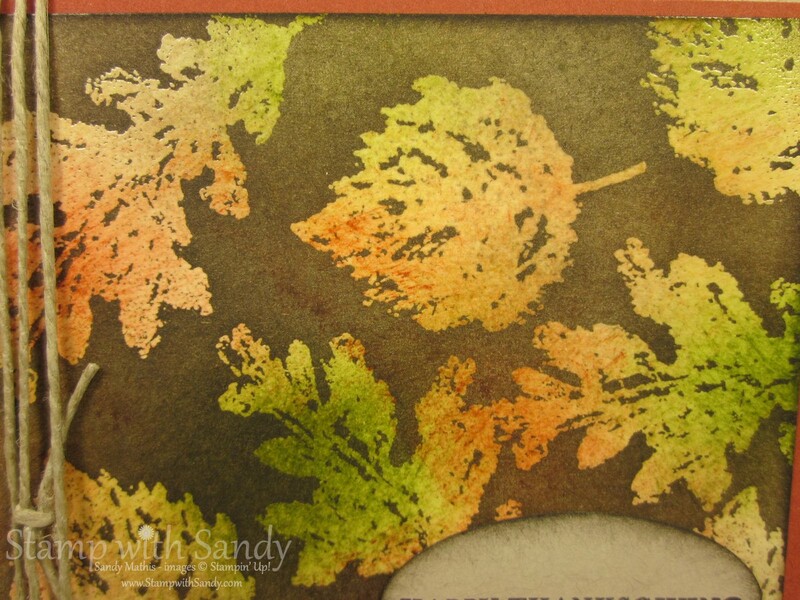 The ink will not adhere to the embossed area, only the background, revealing the leaf pattern. Wipe gently with a paper towel to remove excess ink from the embossed areas. So much fun to do! To request a catalog, click here. A great project taught by a fantastic teacher!! Beautiful card! Love how you sponged the background first! Great effect!